MeterFeeder sponsors Parking Awards, displays new technology at PIE 2019. MeterFeeder sponsors Parking Awards, displays technology at PIE 2019. 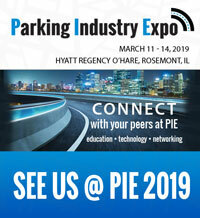 Rosemont, IL - Meter Feeder Inc. is pleased to announce their attendance at the 2019 Parking Industry Expo (PIE). The expo will take place at the Hyatt Regency O’Hare in Rosemont, IL just outside downtown Chicago. The expo is especially exciting this year due to the first annual official Parking Awards. Meter Feeder decided show its support for the industry by sponsoring the “Sustainability” category of the awards. Look forward to seeing Meter Feeder CEO Jim Gibbs give a brief speech and present the award to the winner! Finalists for the “Sustainability” Award include Park Assist, SpotHero, Grid Smarter cities, and Barnacle. Meter Feeder Inc. was also nominated for multiple awards at PIE. These included a nomination for the Industry Innovation award, as well as a nomination from the City of Mckeesport, PA for Customer Service Excellence. Attend the first ever Parking Awards at 9am on Tuesday, March 12th, then come visit MeterFeeder at Booth 106! Follow us on Twitter for updates about our adventures at PIE 2019!